Almost every moving device is powered by an electro mechanical system. These systems are present in most electric motors, solenoids and mechatronics. From vehicle power windows and power seats to washers and dryers, many of the products we use in our everyday lives rely on these systems. Here are the three most common electro mechanical systems and devices and how they work. 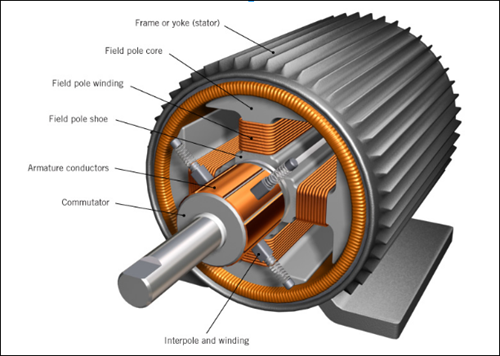 A brushed DC motor is an internally commutated electric motor designed to be run from a direct current power source. The commutator causes the magnetic field in the armature coils to change so that the coils will rotate between permanent magnets. The speed and torque characteristics of a brushed motor can be altered to adapt to the power supply. Brushed motors are commonly used for electrical propulsion, cranes, paper machines and steel rolling mills. Since the brushes wear down and require replacement, brushless DC motors using power electronic devices have displaced brushed motors from many applications. Brushless DC motors are motors powered by DC electricity. It has a permanent magnet rotor and fixed stator coils. As the rotor turns, one or more sensors close to its edge send a signal to a control circuit that energises the stator coils in a sequence. The advantages of a brushless motor over brushed motors are high power to weight ratio, high speed, and electronic control. Brushless motors can be found in computer peripherals (disk drives, printers), hand-held power tools, and vehicles ranging from model aircraft to automobiles. Unlike brushless DC motors, stepper motors do not require any sensors. They have a permanent magnet rotor within the centre that’s free to rotate within the fixed stator coils. Using a driver circuit, current is pumped into the coils periodically, which generates a magnetic field. Repelling the end of the magnet with the same polarity as the coil, and attracting the other, causes the magnet to turn and the motor to run. These are often very energy efficient. Electromechanical solenoids – these consist of an electromagnetically inductive coil, wound around a movable steel or iron slug, and are commonly seen in electronic paintball markers, pinball machines, dot matrix printers and fuel injectors. Rotary solenoids – these are used to rotate a ratcheting mechanism when power is applied, and were first applied in the 1950s for rotary snap-switch automation in electromechanical controls. Rotary voice coils – these are the rotational version of a solenoid, and are widely employed devices such as disk drives. Pneumatic solenoid valves– this is a switch for routing air to any pneumatic device, allowing a relatively small signal to control a large device. It is also the interface between electronic controllers and pneumatic systems. 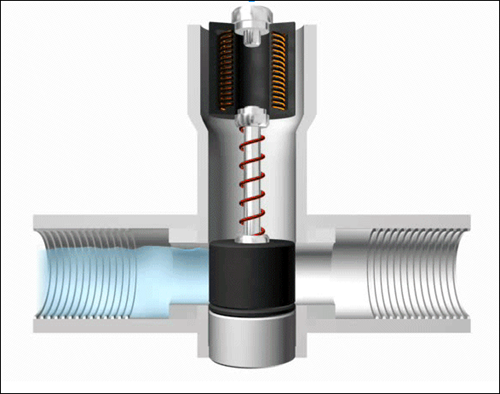 Hydraulic solenoid valves – these are valves that they control the flow of hydraulic fluid, and are found in everyday household items such as washing machines to control the flow and amount of water into the drum. Automobile starter solenoids – these are part of the automobile starting system used to start the motor by relaying large electric current from the car battery and a small current from the ignition switch. Mechatronics is an interdisciplinary area of engineering that combines mechanical and electrical engineering and computer science. 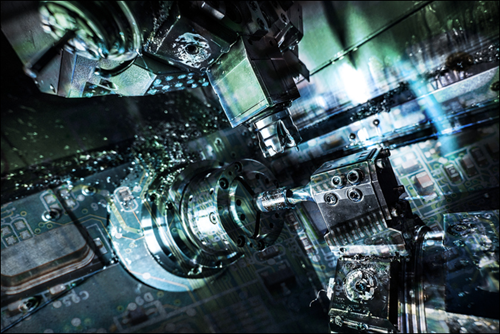 A typical mechatronic system picks up signals from the environment, processes them to generate output signals, transforming them for example into forces, motions and actions. Many products that used to be purely mechanical now rely on mechatronics to function, including a variety of automotive systems such as anti-lock brakes, as well as DSLR cameras. These kinds of systems represent the future of the electromechanical field. Electro mechanics have existed since electricity was invented and have become increasingly more sophisticated over time. While the electric motors will still play an important role in the future, the market is shifting to more mechatronic and solenoid-based systems. If you find these systems fascinating and are interested in joining the world of electro mechanics, check out our technician program.